Some dog owners assume that incessant barking, countersurfing, mouthing, and misbehaving are just a normal part of the dog experience. This does not need to be the case if you have the tools to communicate with your dog. 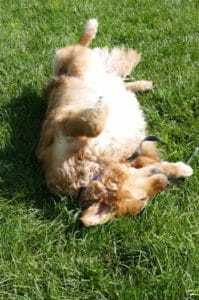 Acme Canine’s dog training is structured to meet and accommodate the stresses of being a dog and coach you as the owner. Canine relationships are constantly changing and so we remain in contact with our clients long after their training has been completed. 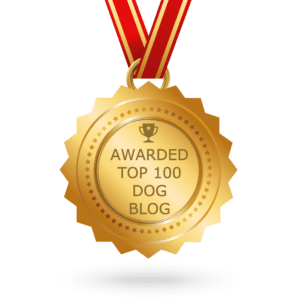 Clients can enrich their canine experience by reading Spike’s Dog Blog by Acme Canine and our monthly e-newsletter, The Bark & Chuff. They can continue to gain canine knowledge buy purchasing materials through the Woofie Shop. As we develop our relationship we’ll provide further opportunities to improve the client’s relationship with their dog. By offering one on one training through Skype and Facetime, we can help expand your dog’s knowledge, confidence, and reliability. 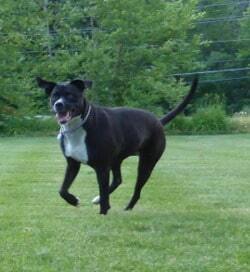 We understand your dog is part of your family, and an extension of yourself. We treat your dog as we would our own, which is why we are committed to bringing the highest quality canine care available. 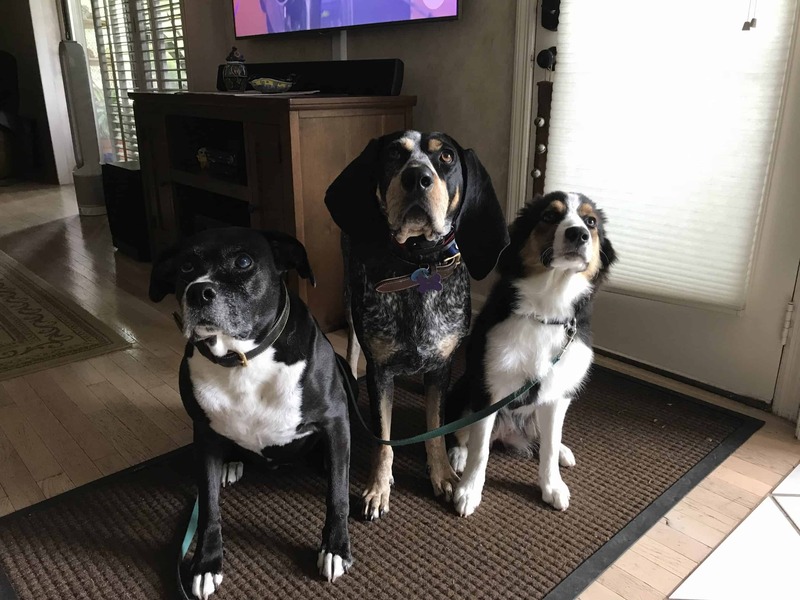 Our knowledgeable training staff has over 40 years of experience in professional canine training, behavioral and physical therapy, and basic canine medical care. 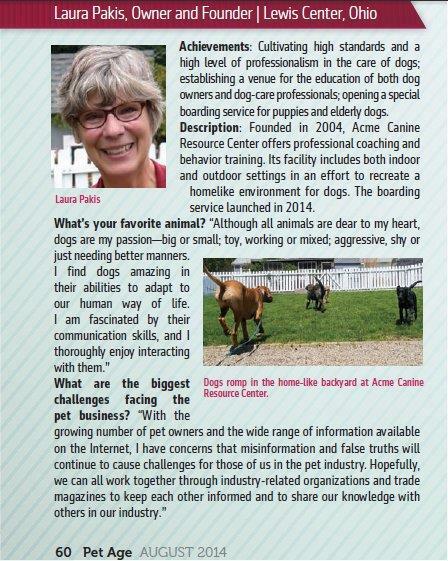 Our staff stays abreast of the latest in dog training and canine related issues. If we don’t know the answer, we will research the solution. This involves a good deal of effort on our part, but all of this effort is worth the experience of having the best relationship with your dog.